As one of Laramie, Wyoming's most intimate and unique art experiences, Touchstone Laramie is a biennial, community-artist exhibition hosted by the Laramie Artists Project, a local organization run entirely by Albany County artists, that transforms an entire floor of hotel guest rooms into over 30 individual artist-designed galleries that are as professional as they are personal. Join the mailing list here for updates on the 2020 Touchstone Laramie Exhibition. Sign up with your email address to receive news, updates, an an official invitation to the exhibtion. Touchstone Laramie originated in 2004 with a 2-person exhibition by artists Susan Moldenhauer and Wendy Lemen Bredehoft. In 2005 it expanded to include 5 artists in an open-studio venue. The Laramie Artists Project (LAP) has hosted the biennial exhibit Touchstone Laramie since 2006, continuing in 2008, 2010, and 2012 and 2014. 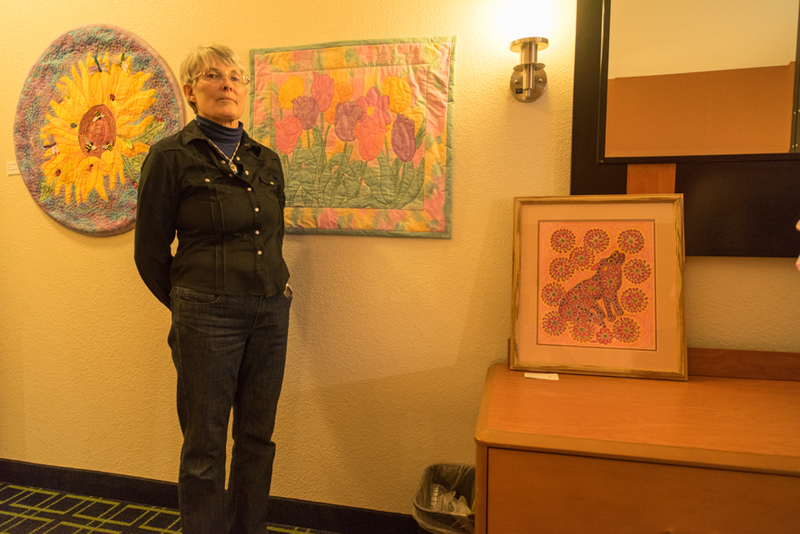 The first 2 exhibitions took place at the Ramada Inn in Laramie. 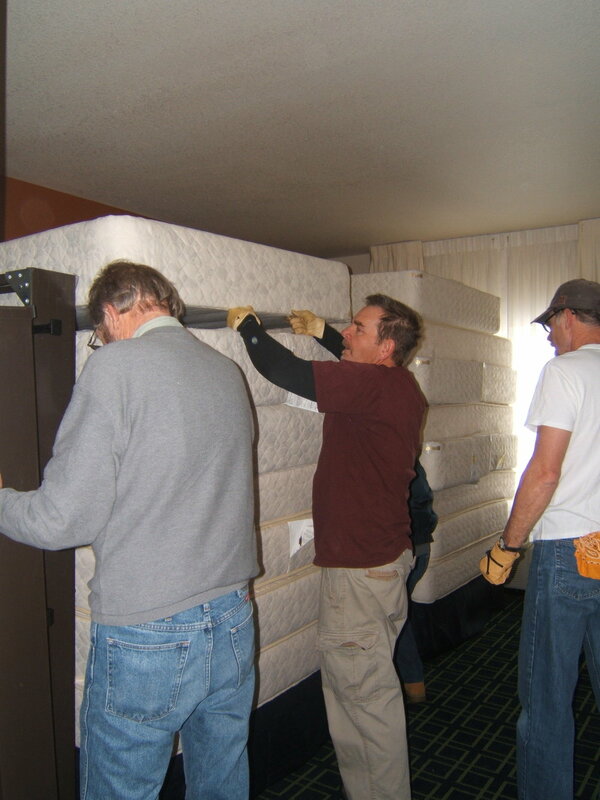 In 2010 the exhibition moved to the Fairfield Inn and Suites. 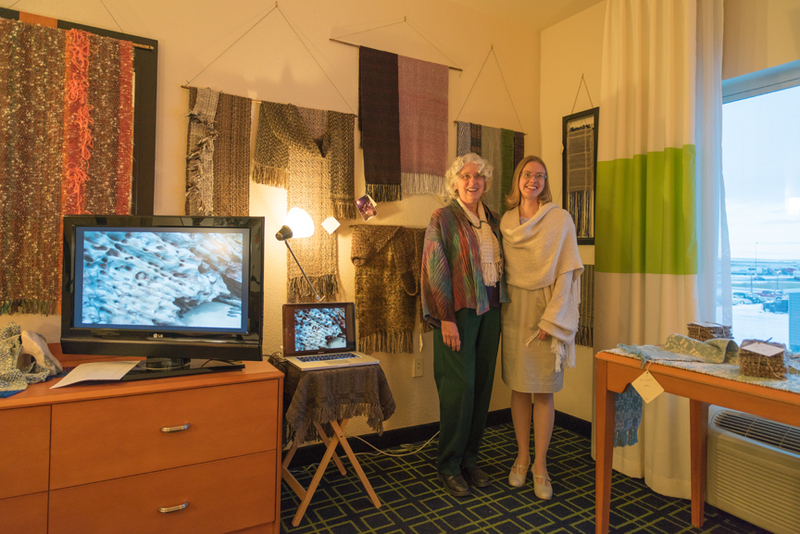 More than 1200 people each year have visited the small individual galleries (transformed guest rooms) to view the work of approximately 30 – 40 Albany County artists. Each exhibit year the actual configuration of artists changes - which allows for a blend of "old-timers" with "newcomers." This provides continuing energy and new ideas, and an exhibition that is fresh with new work from returning artists and first-time work from new artists. It provides viewers with the opportunity to discover or reacquaint themselves with their favorite local artists, to encounter original work, and to build new connections. It is gratifying to see visitors engaged in deep discussions with artists and each other about the artwork on display. What Is Expected of Artists? This is a true collaborative effort. Artists are expected to attend planning meetings (about 1 per month), volunteer for assignments, such as fundraising, promoting the event, moving hotel furniture and more. This is not a juried exhibit, but work is required to be original and be presented in a professional manner. Artists are required to participate in the planning and implementing of the event and to make a financial contribution equal to the cost of their hotel room “gallery”plus their share of the cost of additional rooms required for storage, etc. 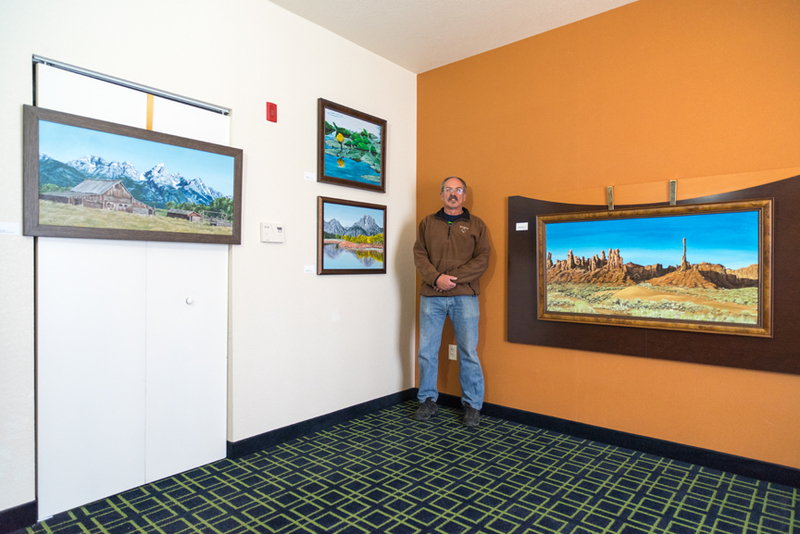 The hotel offers us a significant discount, and the artist contribution varies by the size of the room. A deposit of $100 is required when you commit to the project. No more than 2 artists can share rooms. Sales are permitted and made in a checkout room. 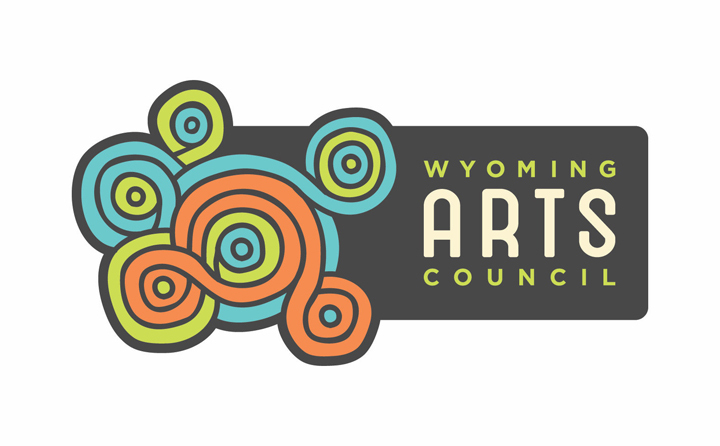 We emphasize that even though sales are not the primary purpose of the event, having art distributed among the homes and businesses in Laramie and beyond is an essential part of our contribution to cultural awareness and the quality of life in our community. Laramie Artists Project may take a small commission on sales if it is needed to offset costs of expenses. 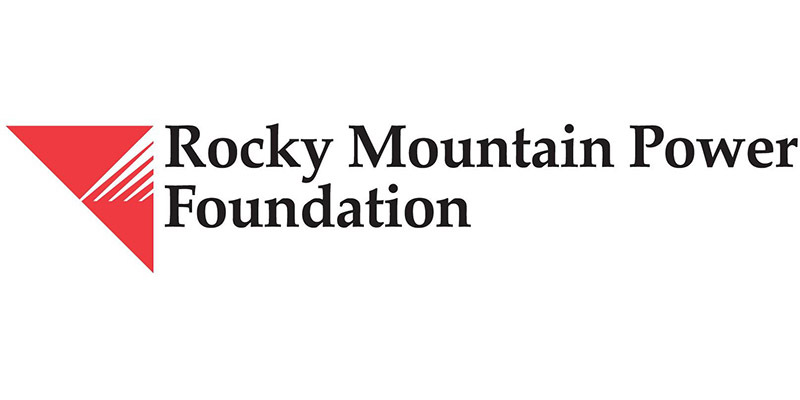 For some Touchstone Laramie is the one event in which they exhibit their work in Laramie. It provides a wonderful opportunity for all artists to share new work created in the past two years, to meet new viewers and potential patrons, and to connect with the community. It also creates opportunities for professional development as participating artists actively engage in the business of art: curating their work for exhibition, developing marketing strategies, fundraising, installation of the exhibit and more. Artists learn from and encourage each other, working together on all aspects of producing successful events.